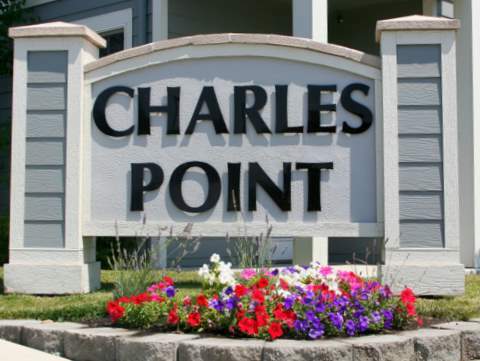 Locate the "Charles Point Leasing Office" sign on the corner of Lowery Lane and Smitburry Street. Take a left on Smithburry St. at this sign. Our office is a one-story building located at the end of Smithburry. See you soon. Call with any questions (541) 773-3571.